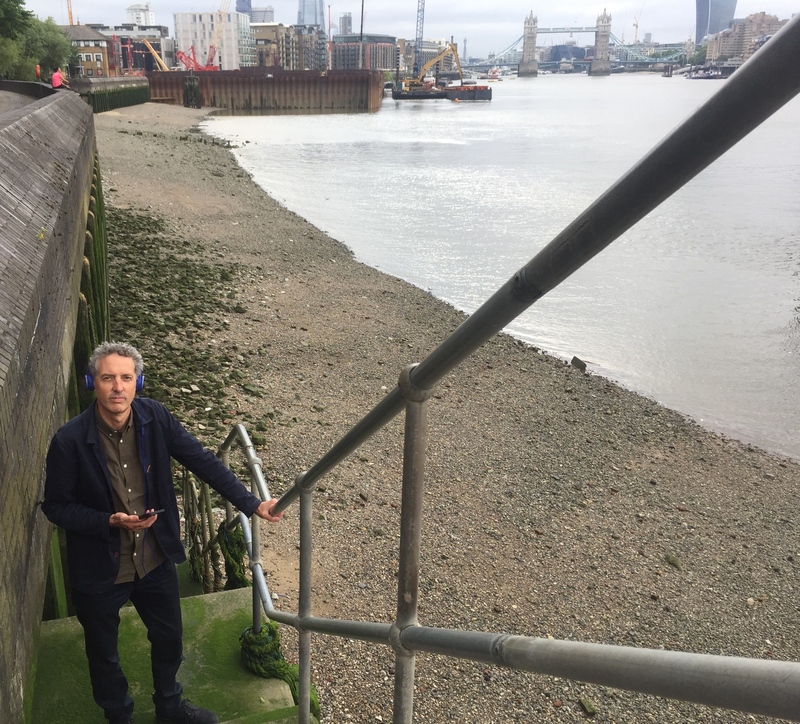 James was one of three writers, along with the novelist Kate Pullinger and the digital artist Duncan Speakman, to be commissioned to create a piece for the Ambient Literature Project. The result is The Cartographer’s Confession, a digital fiction set in London produced by Emma Whittaker. The Cartographer’s Confession is a geo-located app situated in London that unfolds as users move between three different city locations. It combines voice, video, prose, original 1940’s photographs of London, commissioned illustrations, 3D soundscapes and a bespoke musical score to create a rich literary experience. To read more about the background to the project and about ‘Ambient Literature’ in general, visit the Ambient Literature site. I’ve read many, many novels in my time and there are some I’ll pick up and put down pretty quickly, but for me this was up there with a really good novel. It has texture, it’s beautifully crafted, it wasn’t overly laboured; the actor doing Thomas’s voice really carried it off. There’s a lot of skill involved in understanding the way people will be interfacing with this. It’s an auditory experience, and people who have a background in radio broadcasting and documentary making and arguably some of the top podcasts really get this. But the canvas here for storytelling is vaster and more sophisticated – it carries the potential for a much richer more immersive storytelling experience than anything I have seen before and I’m really excited about that…. It brings us back to the fact that places are rich with stories and stories are timing, stories are voices, stories are breath, delivery, they are rich sonorous experiences that are here to draw us in, to make us think, to engage with and experience the world around us. The term ‘Ambient Literature’ refers to writing that knows where its reader is through the use of the technology of the smartphone and which has a visceral connection with a sense of place. You can download The Cartographer’s Confession free from the App Store and Google Play.